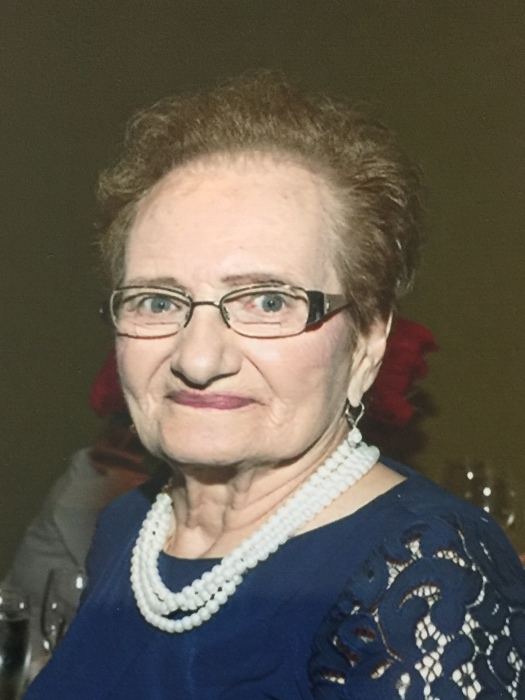 Obituary for Theresa (Grande) Bellucci-Giunta | Nardolillo Funeral Home, Inc.
formerly of Greenville Ave., Johnston, went to be with the Lord on Friday, April 5, 2019 at St. Antoine Residence in North Smithfield. She was the wife of the late Salvatore Giunta and the late Francesco “Frank” Bellucci. Born in Lawrence, MA, she was the daughter of the late Rocco and Carmina (Mambro) Grande. Theresa was a graduate of Bryant College and was office manager at Universal Optical for many years before retiring. Theresa’s greatest joy in life was being surrounded by her family. She was the devoted mother of Steven Bellucci and his loving wife Cindy of Foster and Kingman, AZ, and Debra Bellucci Nazarian and her loving husband Rev. Fr. Kapriel Nazarian of North Providence; loving grandmother of Robert Nazarian, Frank Bellucci and his wife Macayla and Julie Bellucci; loving great-grandmother of Frank Bellucci, Jr. and Rocco Bellucci; dear sister-in-law of Carmella Grande of Cranston; and dear sister of the late John Grande, Delia Peters, Frances Ferra, Gus Grande, Gene Grande and Anthony Grande. Relatives and friends are invited to attend her Funeral Service on Wednesday, April 10th at 10 a.m. in Sts. Vartanantz Armenian Apostolic Church, Providence, followed by burial at Highland Memorial Park, Johnston. VISITING HOURS are Tuesday from 4 p.m. to 7 p.m. in the NARDOLILLO FUNERAL HOME & Crematory, 1278 Park Ave., Cranston. In lieu of flowers, memorial contributions may be made to: Sts. Vartanantz Church, 402 Broadway, Providence, RI 02909.